Transportation | PROTECT Technologies Inc.
Germs, such as bacteria and mould, are found on our bodies, our clothes, and our belongings. When we hop on a bus, catch a train, grab a cab, or take a flight, we bring all of these travelers with us. They can last 24-48 hours on surfaces, during which time things like bacteria reproduce exponentially. One single cell can become more than 8 million cells in less than 24 hours. We are placed at risk of picking up unwanted and potentially dangerous microorganisms each time we travel. The Aegis Microbe Shield has been proven to reduce the counts of dangerous microorganism on public transit, and to provide enduring protection over time. If you have a business model which includes dealing with any form of public transit, and would like to learn how we can help you protect your customer’s mobile environments, please give us a call. Protect planes, trains, buses, and cabs. 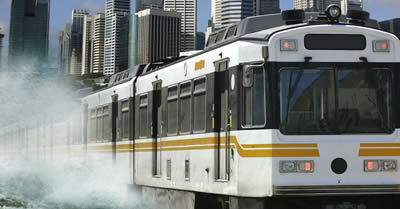 Any form of public transportation can benefit from protection by the Aegis Microbe Shield.